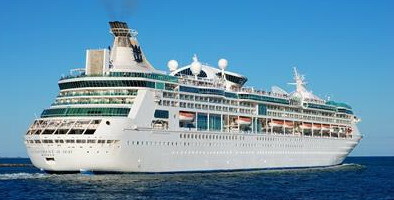 Was your cruise ship holiday run aground by an outbreak of illness? As long as you sailed within the last three years, the legal experts at Holiday Illness Claims could help you recover anything between £770 – £43,890 in a successful no win no fee claim. Our industry leading solicitors have helped hundreds of British holidaymakers receive the compensation they deserve in quick and hassle-free cruise ship illness claims. To see how we can help you call 0800 01 54321 now and speak to a holiday claims specialist. Holiday Illness Claims have grown into the UKs leading cruise ship illness claims solicitors. Our specialist solicitors have over 50 years experience in successfully settling holiday sickness claims and have developed an unrivalled claim success rate to ensure that you receive maximum compensation. We regularly help both groups and individuals settle no win no fee claims for sickness contracted on a cruise. In 2014, our experienced holiday claims experts secured a staggering £42,500 combined pay out for 26 British holidaymakers struck by outbreaks of norovirus on board the Boudicca cruise ship. More recently, we helped a Stockport man receive £3,735 in damages following gastric illness during his ruined 50th birthday cruise on the Thomson Celebration. Call 0800 01 54321 now and make Holiday Illness Claims your first choice for legal representation. At Holiday Illness Claims we understand how distressing falling ill on holiday can be. Thats why we aim to make the claims process as quick and hassle-free as possible. A dedicated cruise ship illness lawyer will handle every aspect of your claim and negotiate directly with the tour operator on your behalf to achieve the best possible outcome. Our no win no fee policy gives you added peace of mind, allowing you to bring a claim for cruise ship sickness with no financial risk. Win or lose, you will never be left out of pocket with Holiday Illness Claims. To see how we can help you claim the illness compensation you deserve, contact Holiday Illness Claims today. Call 0800 01 54321 now and speak to an experienced cruise ship illness lawyer. Or, simply complete the online contact form and a claims specialist will be in touch shortly.